Recently, there has been a considerable amount of hype surrounding artificial intelligence (particularly in the field of dermatology), which primarily discusses the potential benefits/challenges of the technology along with expected release timelines. Today, we will be focusing on amazing technologies fueled by artificial intelligence (AI) in healthcare that are currently available to the dermatology industry and beyond. From here, efficacy, applications, and similarities between these innovations will be reviewed to provide deeper insights into the meaningful impact these digital healthcare successes are having on the medical industry. Although this tech super-giant has been focusing its power on several projects (such as drug discovery and patient management) we will be examining IBM Watson for Oncology. In 2017, one study Watson focused on accurately identifying malignant skin cancer cases though the analysis of dermoscopic images 1. Like the previous study mentioned above, Watson utilized artificial intelligence and machine learning techniques to help identify potentially suspect cases. The study concluded that the system achieved an accuracy rate of 76%. 2 This is extremely important to note, as the accuracy average for the eight dermatologists used for the data set was 70.5%. Another study powered by IBM found that the system supported the approach selected by medical professional with 93% accuracy 3 for breast cancer case. Although not left to provide diagnostic solutions, these examples of high accuracy rates begin to demonstrate how like IBM Watson are providing powerful clinical decision support tools for medical professionals. Additionally, Watson Health general manager Deborah DiSanzo emphasized that the real potential in artificial intelligence (AI) is for it “to improve the consistency and overall quality of cancer care more quickly, freeing up physicians to spend more time delivering care to patients”. The 21 board-certified dermatologists were required to review 370 images and provide their clinical decision (eg. biopsy, treatment, no cause for concern). Based on this test, the project researchers evaluated success on the dermatologists’ ability to correctly diagnose the skin images. Once the research was compiled, it was found that the algorithm was able to match the performance of the dermatologists. A third and final technology powered by intelligent dermatology tools is DermEngine's Visual Search. DermEngine is an intelligent dermoscopy platform designed to streamline workflows and keep medical professionals connected to their patients. This dermatology EMR system offers total body photography, clinical analytics, teledermoscopy, and patient management. Visual Search is a clinical decision support tool and educational resource designed to drastically reduce the amount of time spent on patient cases. Fueled by content-based image retrieval (CBIR), this feature identifies visually similar images from a bank of thousands of pathology-labeled images. 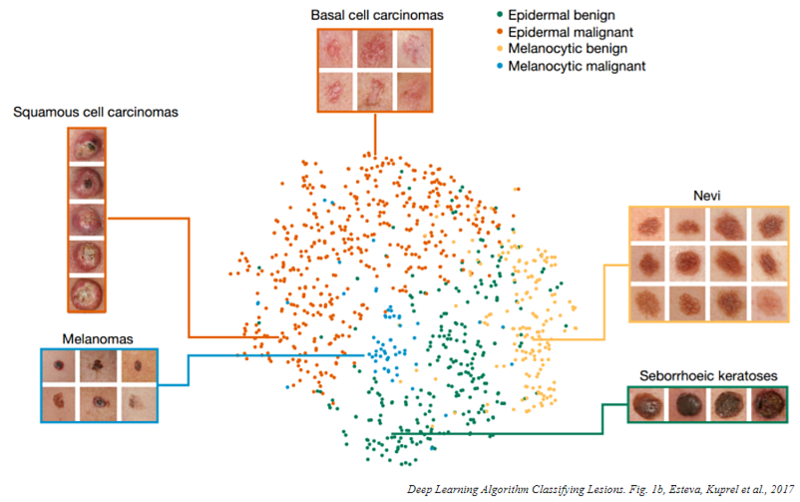 Through the use of deep learning algorithms, the software compares a lesion image to its collection, then provides insights based off of the visually similar cases, such as precedent risk of malignancy and top diagnoses. In conclusion, the world of AI in dermatology is filled with advanced technologies primed to enhance the workflows of medical professionals while providing better health outcomes for patients. Three examples of this are IBM Watson, Stanford's Google-powered algorithm, and MetaOptima's Visual Search (via DermEngine). 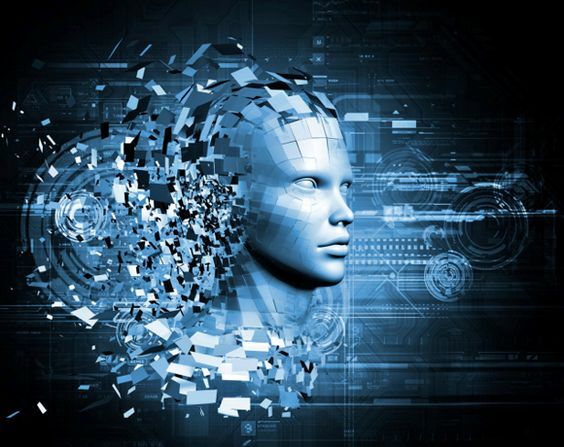 Although each company emphasizes that these technologies are designed to support medical professionals in their clinical decisions, it will be interesting to see future outcomes when these algorithms are able to provide a greater range of accuracy and capabilities beyond our imagination. Would you like to experience the power of DermEngine's Visual Search? Sign up for a free 30-day free trial today.